Transferable points programs are the most valuable points to accumulate. These points can often be used at better than 1 cent per point value to book travel. Even better, points can be strategically transferred to airline and hotel programs when valuable awards are available. If you’re at all interested in free travel or luxury travel with points & miles, then you need to understand the basics of each of these programs. 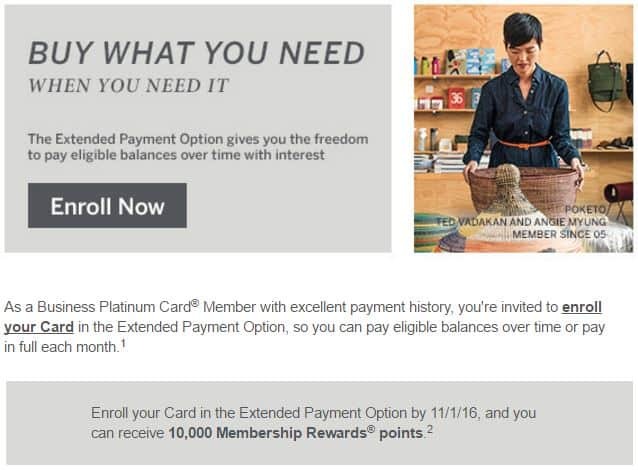 This post rounds out the guides to the big three transferable points programs: Amex Membership Rewards (this post), Chase Ultimate Rewards, and Citi ThankYou Rewards. Amex Membership Rewards points can be earned via credit card spend, new account bonuses, credit card referrals, and more. Those points can then be transferred to airline or hotel partners, or used to pay for travel or merchandise. In one specific case, points can be converted to cash back. Below, you’ll find everything you need to know about Membership Rewards. The easiest and quickest way to earn Membership Rewards points is through Amex credit card welcome bonuses. Most Amex welcome offers stipulate that you can’t get the bonus if you’ve ever had that card before. That said, it doesn’t preclude you getting a bonus for a similarly named card. Additionally, targeted offers sometimes do not have that once per lifetime language. In those cases, you can get the bonus even if you’ve had the card before. Amex frequently offers bonus points for upgrading from one card to another. These upgrade offers often do not have the once per lifetime language. That is, if you are targeted for an upgrade offer, you may be able to earn the bonus points even if you’ve had the card before. It is best to accept these offers only after you have earned a welcome bonus for the higher end card. The next best way to earn Membership Rewards points is by using the best card for each category of spend. If you spend a lot personally or through your business on any of the below categories, you can do very well. Particularly noteworthy is the no-annual-fee Blue Business Plus Credit Card which offers 2 points per dollar for all spend, up to $50K spend per calendar year (then 1X thereafter). That’s fantastic. * The Amex EveryDay Preferred card earns a 50% bonus every billing period in which the card was used for 30 or more transactions. Before the 50% bonus, the card has the following bonus categories: 3x points at US supermarkets on up to $6,000 per year in purchases (then 1x); 2x points at US gas stations; 1x points on other purchases. After the 50% bonus, it offers: 4.5x points at US supermarkets on up to $6,000 per year in purchases (then 1.5x); 3x points at US gas stations; 1.5x points on other purchases. ** The Business Gold Rewards card offers 3X points on a single category of your choice, and then 2X on all other available categories from the following list: Airfare purchased directly from airlines; U.S. purchases for advertising in select media; U.S. purchases at gas stations; U.S. purchases for shipping; U.S. computer hardware, software, and cloud computing purchases made directly from select providers. ***The new Business Gold Rewards card offers 4x points on two categories where you spent your most in a particular month. It automatically picks the highest two categories from the following: Airfare purchased directly from airlines; U.S. purchases for advertising in select media (online, TV, radio); U.S. purchases made directly from select technology providers of computer hardware, software, and cloud solutions; U.S. purchases at gas stations; U.S. purchases at restaurants; U.S. purchases for shipping. Amex Offers are usually best for saving cash. But, sometimes Amex Offers provide terrific opportunities for point earning instead. One (now expired) example was an offer for Reebok: Spend $75 or more, Get 1,500 Membership Rewards points. And one for Hugo Boss: Spend $250 or more, Get 5,000 points. Another great way to earn Membership Rewards points is by referring friends and relatives. Log into your account to check for any special referral offers. Log into your account and check the section titled “Amex Offers and Benefits” to look for offers like these. Amex charge cards often offer an easy way to earn additional Membership Rewards points. Once you sign up for a charge card, you will start getting emails and letters inviting you to sign up for the Extended Payment Option. This option essentially turns your charge card into a credit card. Don’t do it. That is, don’t sign up until the offer includes a bonus of 5,000 to 10,000 Membership Rewards points. In my experience, these bonus offers usually appear towards the end of your first year of card membership (as long as you haven’t enrolled already). Once you get an offer like the one shown above, go ahead and sign up. As long as you keep paying your card’s complete balance each month, there is no downside to enabling this feature. Those with American Express Platinum cards automatically get 1 cent per point value when redeeming points for travel. That’s not particularly good, but it’s much better than the value that people get without a Platinum card. Currently, the only way to get better than 1 cent per point value when redeeming points for travel is with the Business Platinum Card. The Business Platinum Card offers a 35% Airline Bonus: Get 35% of your points back when you redeem points through Amex Travel for either a First or Business class flight on any airline, or for any flights with your selected airline. After you receive the 35% rebate, the value works out to 1.54 cents per point. That’s very good, but it does require owning this ultra-premium card. The best use of Membership Rewards points is to transfer points to airline and hotel partners in order to book high value awards. Your best bet is usually to wait until you find a great flight or night award before transferring points. One exception: Amex often offers 30% or higher transfer bonuses to certain programs (Virgin Atlantic and British Airways are two recent examples). If you’re confident that you’ll use the points for good value, it may make sense to transfer points when those bonuses are in effect. Points can be transferred to the loyalty accounts of the primary cardholder or any authorized user or employee on the account. It is free to transfer Membership Rewards points to foreign airlines. For transfers to US airlines, however, Amex charges an “excise tax offset fee” of $0.0006 per point (with a maximum fee of $99). Airlines subject to this fee are noted below. AeroMexico ClubPremier 1 to 1.6 AeroMexico is a SkyTeam partner. Club Premier points can be used to book flights on AeroMexico, SkyTeam alliance members (such as Delta or Korean Air), or on select partner airlines. Award prices tend to be quite high, but if you transfer points to AeroMexico with a great multiple (such as from Membership Rewards 1 to 1.6), prices can be reasonable. Air Canada Aeroplan 1 to 1 Redeem for Star Alliance flights. Multiple stopovers allowed on international flights. Reasonable award prices to Europe for business and first class. Alitalia MilleMiglia 1 to 1 Alitalia is a member of the SkyTeam alliance. Despite multiple devaluations, Alitalia still offers very good award prices on many routes, so they’re worth a look. Unfortunately, fuel surcharges can be quite high, and partner awards cannot be booked online. ANA Mileage Club 1 to 1 Redeem for Star Alliance flights. Multiple stopovers allowed. Very good award prices for round-the-world travel. See also: How To Find Business Class Awards To Europe For 88,000 Miles Or Points. Cathay Pacific Asia Miles 1 to 1 Cathay Pacific has a fairly generous distance based award chart and allows multiple stopovers. Fuel surcharges can be very high on certain routes. See: Best Use of Asia Miles (Cathay). Delta SkyMiles 1 to 1 plus excise tax Award flights to Canada are often a great deal. Partner awards often have terrific availability, but you may pay more miles than with other programs. EL AL Israel Airlines 1000 to 20 El Al’s award prices tend to be considerably higher than other programs charge for the same flights. I wouldn’t bother. Emirates Skywards 1 to 1 Emirates has different award charts for each airline partner. Sometimes they allow one-way awards, sometimes they do not. In general, award prices are fairly high. Etihad Guest 1 to 1 Etihad has a very competitive award chart for American Airlines flights, among others. Beware that booking awards can be very difficult. Hawaiian Miles 1 to 1 plus excise tax Hawaiian Airlines’ award prices tend to be quite high, but there are some not-terrible uses: fly to neighboring islands for 7.5K miles, fly first class round-trip from Hawaii to South Pacific islands for as few as 95K miles, fly first class round-trip from Hawaii to Australia for as few as 130K miles. JetBlue 250 to 200 plus excise tax JetBlue points offer the most value when cheap ticket prices are available and when award taxes are high relative to the overall cost of the ticket (more details can be found here). The JetBlue Plus Card and the JetBlue Business Card offer a 10% rebate on awards, so you can get more value by holding one or both cards. You can also redeem points for gift cards or merchandise. At most, with this approach you’ll get 1 cent per point value, but usually you’ll get quite a bit less. You can also use points to pay some merchants directly (Amazon.com, for example). Don’t do this. These options offer very poor value. Further, they may compromise the security of your account (i.e. if someone hacks into your Amazon account, they might spend your Ultimate Rewards points – causing you a headache in getting your points reinstated). Amex automatically pools all of your points together. When you earn points with different cards, the point total shown when viewing either card is the total across cards. Unlike Chase and Citibank, Amex doesn’t allow members to move points from one person’s account to another. That said, it is possible to transfer one person’s points to another person’s loyalty program account. The key is that the person who receives the points must be an authorized user or employee on the other person’s account. For example, my wife can transfer Membership Rewards points to my Virgin Atlantic account as long as I’m an authorized user (or employee) on any of her Membership Rewards cards. Thankfully, it is very easy to keep Amex Membership Rewards points alive. Simply keep any Membership Rewards card open. For example, if you are about to close your one and only Membership Rewards card, then open another Membership Rewards card account first in order to preserve your points. Amex offers some no-fee Membership Rewards cards, such as the Blue Business Plus and the Amex Everyday, so this shouldn’t be much of a burden. 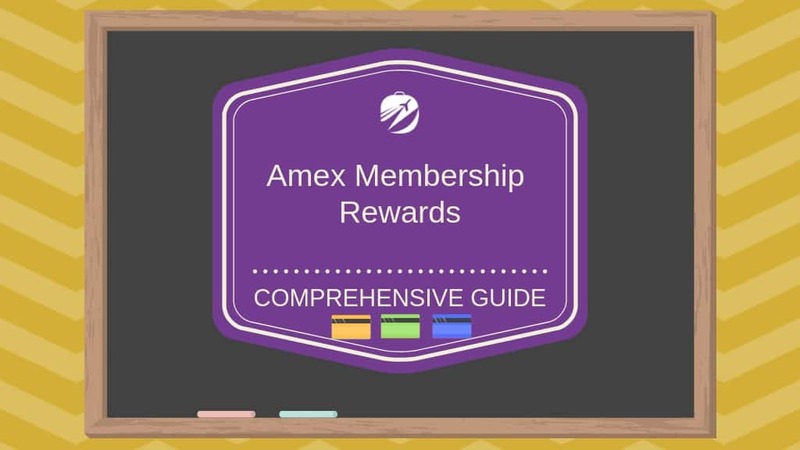 Amex’s official Membership Rewards page can be found here.